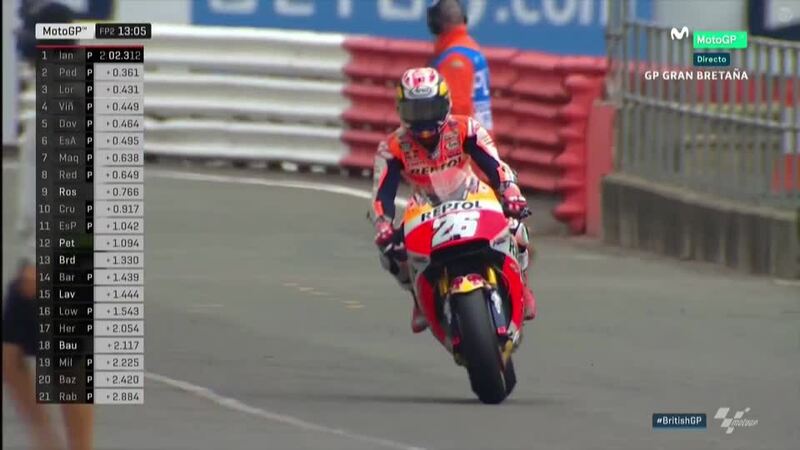 The weather was the focus of the pre-event Press Conference at the British GP, and Friday’s changeable weather did little to disappoint the hype. 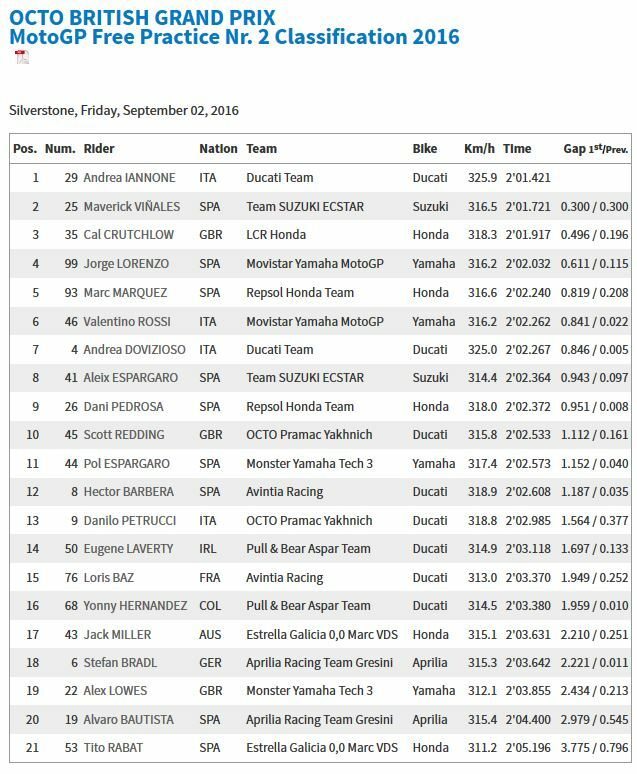 With mostly fine skies threatening rain and only a brief wet interlude in Moto2™ FP2, FP1 at Silverstone Circuit saw Maverick Viñales (Team Suzuki Ecstar) take the top spot, as the Spaniard took over in the last few minutes of the session. 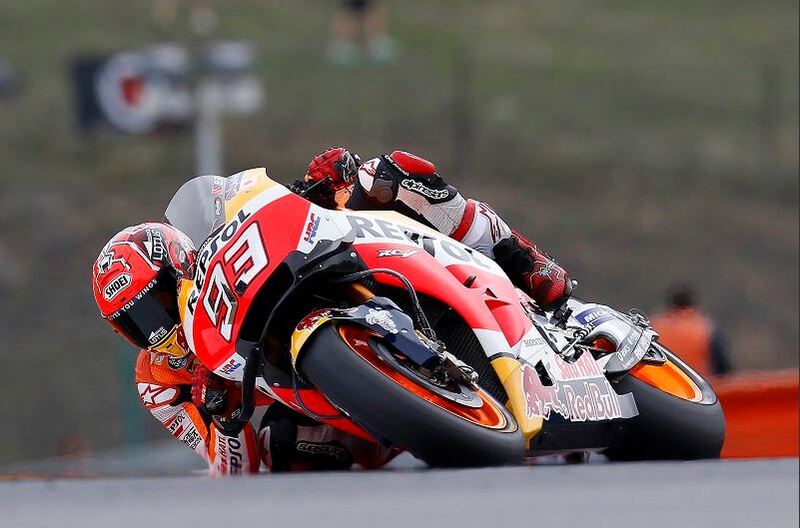 Jorge Lorenzo (Movistar Yamaha MotoGP) was second in the morning, ahead of Repsol Honda Team rider Marc Marquez – who took a tumble at Turn 12, but was uninjured. 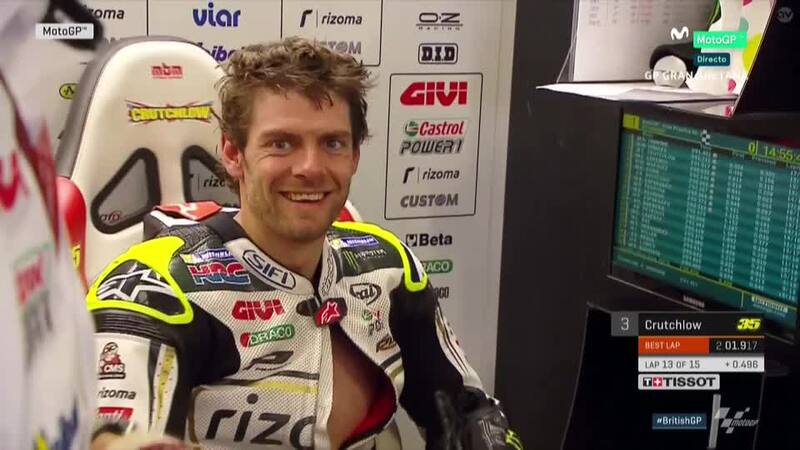 With the weather having stayed dry for the first session, despite Moto2™ being interrupted by rain, MotoGP™ FP2 was unaffected and saw all the grid improve their lap times. 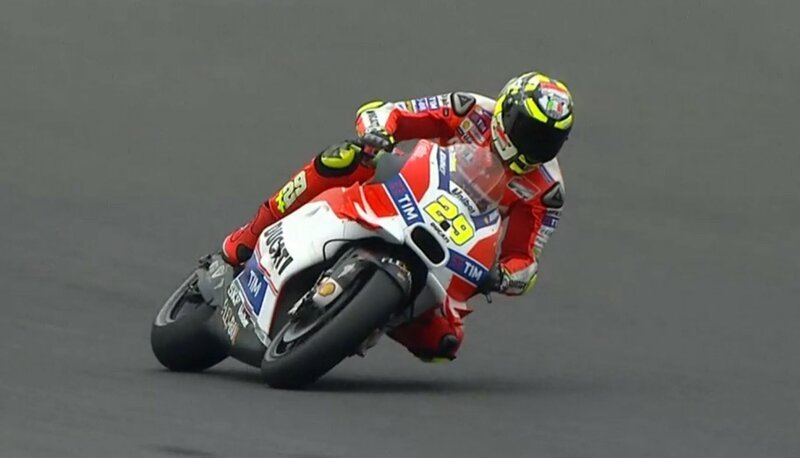 Andrea Iannone (Ducati Team) led a lot of the second session of the day as the Italian machine’s power comes into its own once again on the fast 5.9km Silverstone track, with Dani Pedrosa (Repsol Honda Team) just behind the Italian on the timesheets, before the shootout began as the clock ticked down towards zero. 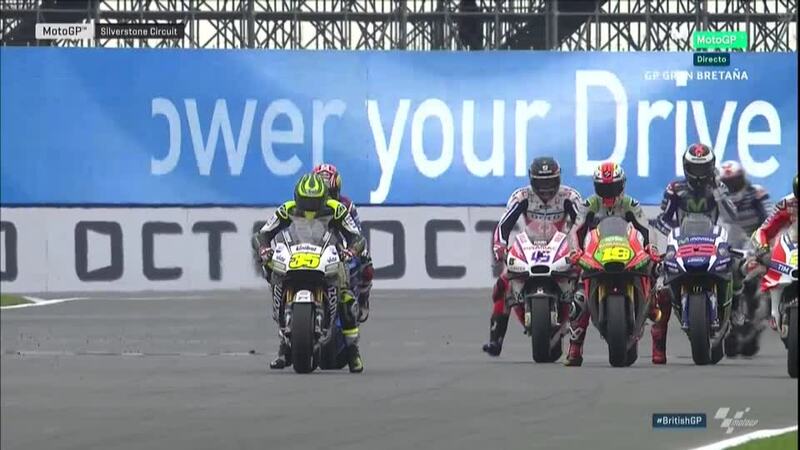 Viñales was the first to set an all-red sector lap to take back the top spot, before winner last time out Cal Crutchlow (LCR Honda) hit back and found some home form. 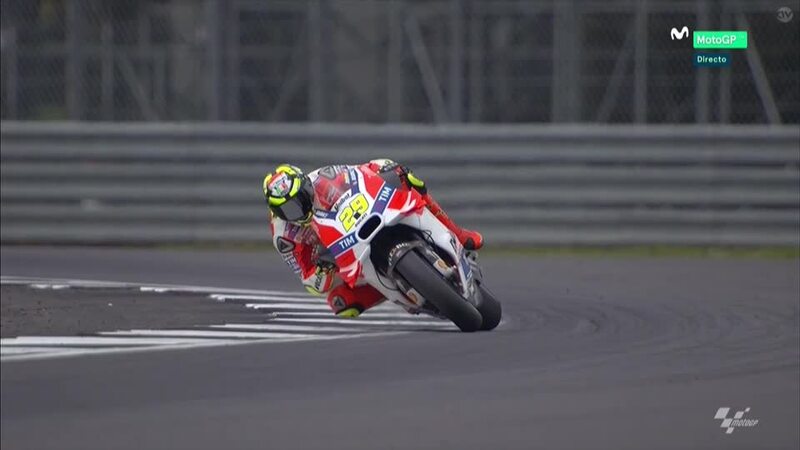 Finally, it was Iannone who topped the session and therefore the day once again, with Viñales in second and home hero Crutchlow knocked down to P3. 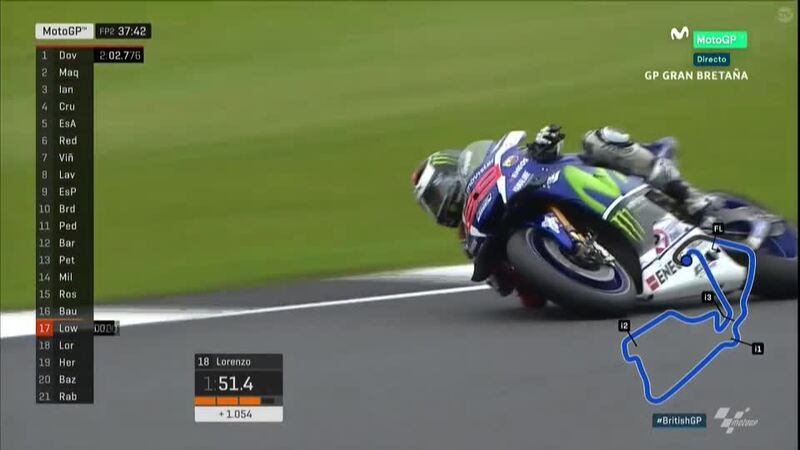 Reigning champion Jorge Lorenzo (Movistar Yamaha MotoGP), who is the most successful rider at Silverstone circuit, was fourth in FP2 after having been second in the morning session, ahead of the only man to have beaten him in the dry at the venue – Repsol Honda Team rider Marc Marquez. 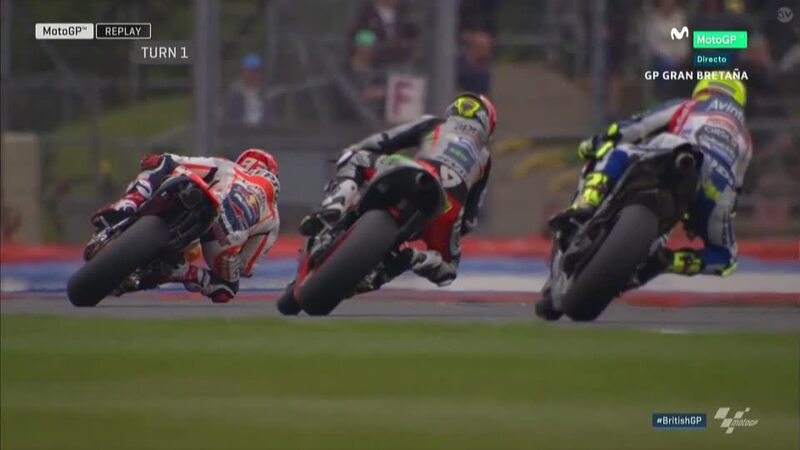 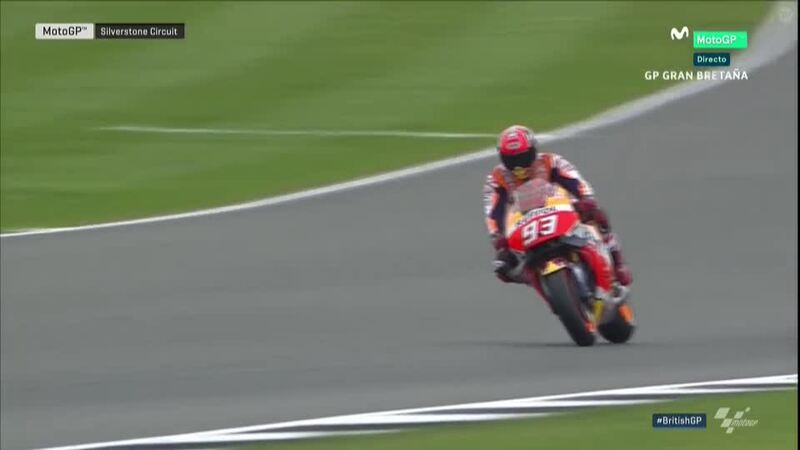 Marquez avoided drama in the second session of the day with no further incidents, locking out the top five. 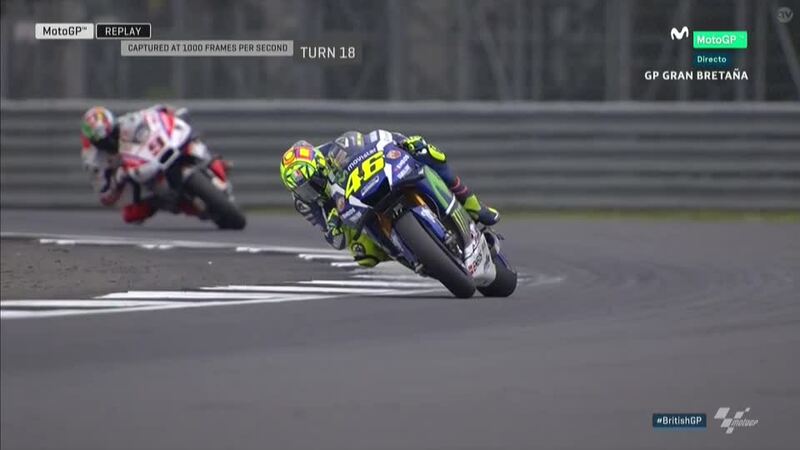 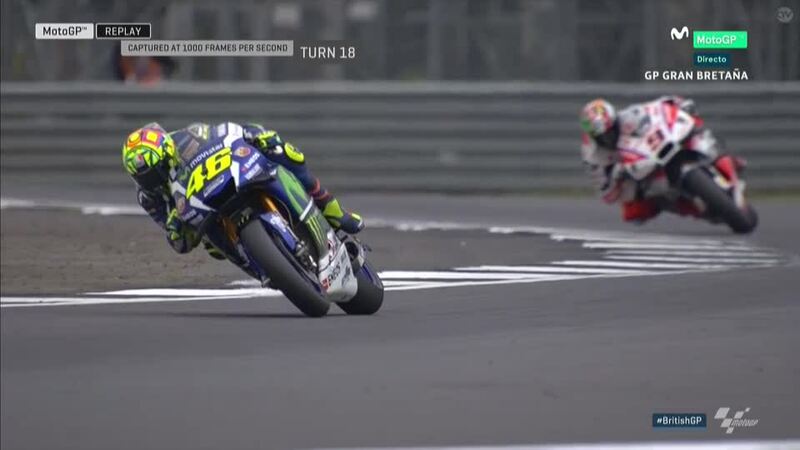 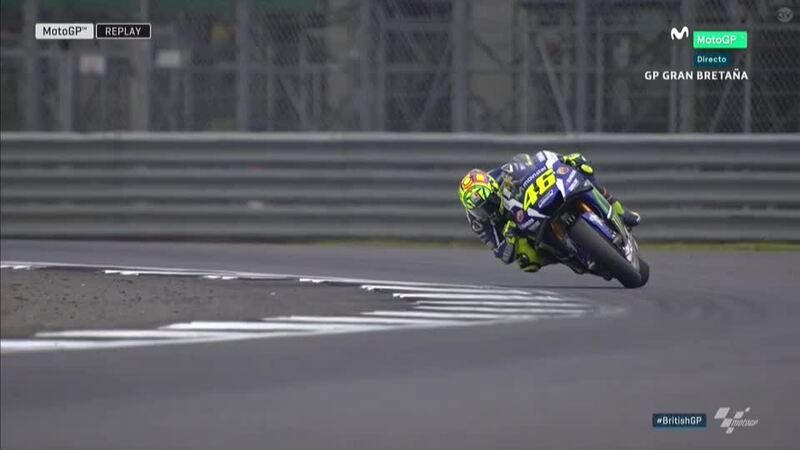 9-time world champion Valentino Rossi (Movistar Yamaha MotoGP) was P6 on Friday as the Italian returns to a track he has traditionally struggled on in the dry, with Ducati Team’s Andrea Dovizioso behind his compatriot in P7. 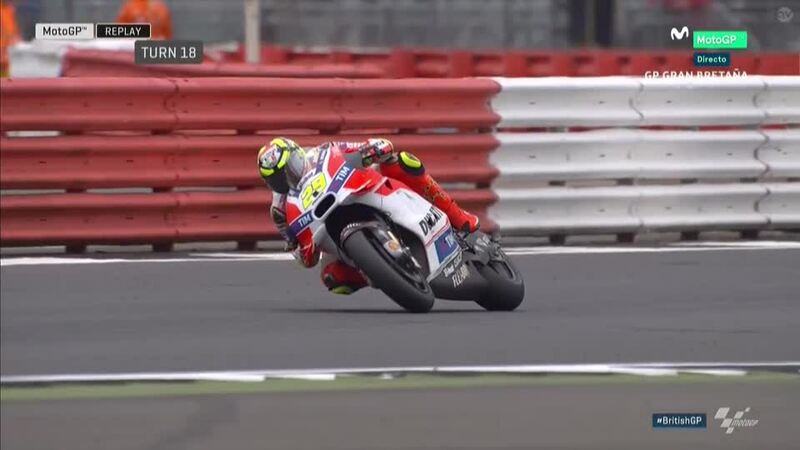 Aleix Espargaro (Team Suzuki Ecstar) was eighth fastest by the end of the second session, ahead of Dani Pedrosa in P9. 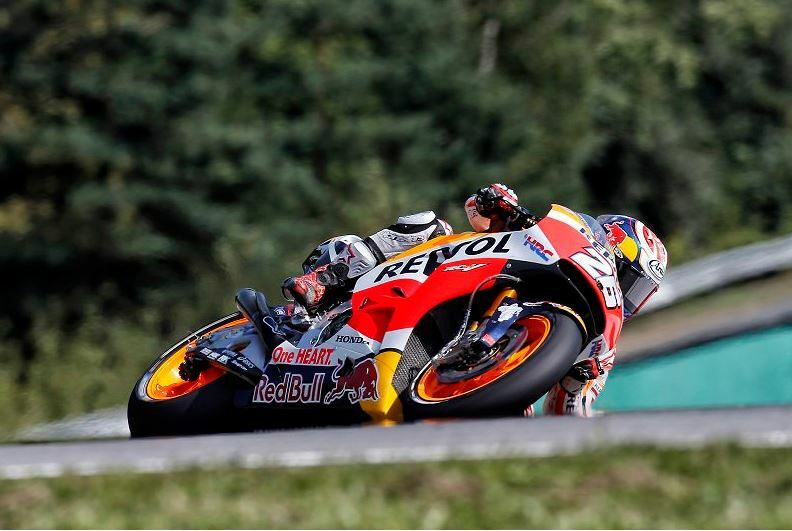 Local rider Scott Redding (Octo Pramac Yakhnich) completed the top ten on the first day of action for his home round, after having also led part of the FP1 session in the morning. 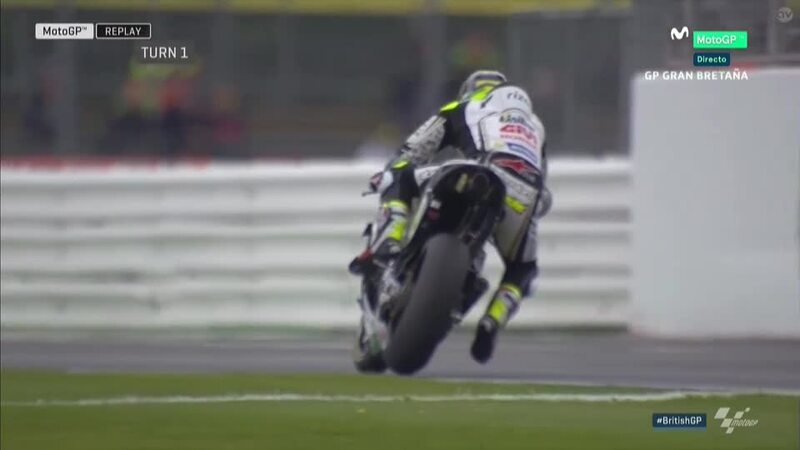 Fellow Brit Alex Lowes, riding for injured Bradley Smith at Monster Yamaha Tech 3, had a solid second session to end the day in P19 as he learns his way around the machine for the first time. 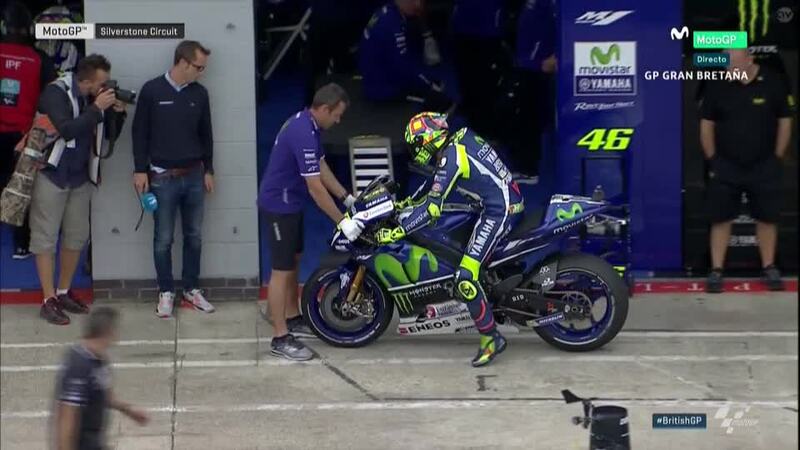 FP3 on Saturday morning will now give riders their final chance to graduate directly to the Q2 qualifying session to fight for the top places on the grid, with the rest heading for Q1 and the chance to fight to move through.